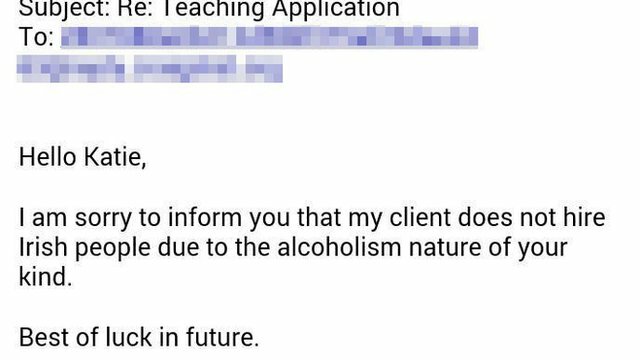 Applicant Denied Job Due to "Irish Alcoholism Nature"
We have witnessed it many times throughout the years: a job applicant gets denied because of ethnicity, because of gender, because of sexual preference, because of religion, etc. Well, it appears a new contender has joined the list of discriminatory items. Enter Katie Mulrenna, 26, a resident of the Republican of Ireland who just got denied a teaching position in South Korea. Why did she get turned out? 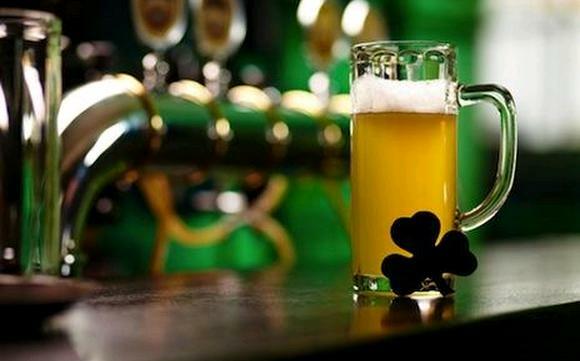 Because, apparently, her Irish ancestry makes her very likely to be an alcoholic. “Usually when you apply for a job and they don’t want you, they don’t send a reply,” she said. The good news is that Katie isn’t allowing this “hilarious” incident to take away from her her unrelenting love of South Korea.